When it comes to healthy foods, avocados are termed as one of the healthiest fruits that one can add to his/her daily diet. These rich and creamy delights taste the perfect when served in the form of dips, salads or even desserts. When it comes to healthy foods, avocados are termed as one of the healthiest fruits that one can add to his/her daily diet. These rich and creamy delights taste the perfect when served in the form of dips, salads or even desserts. There is no denying the fact that avocados are quite high in fat content, but they're still considered quite healthy. This is primarily because the presence of good fats in it, which are monounsaturated oils (MUFA). Avocados are packed with essential vitamins and minerals that can do wonders for your health. Its high nutritive profile is said to provide many health benefits, due to which you may want to include it in your daily diet. Here's a list of few benefits that will make you want to gorge on this fruit right away. Read on to know more about them. 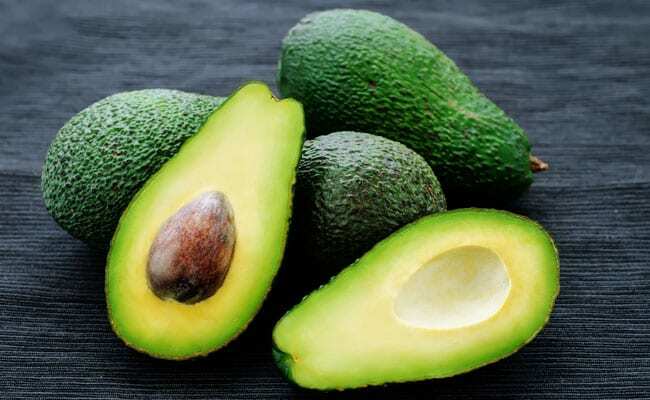 Being abundantly rich in omega-3 fatty acids, avocados can come to great help in relieving joint pains. This is primarily because it has anti-inflammatory properties in it. Avocados are an excellent source of fibre that can make you feel full for longer. Since fibre takes longer to digest, it can keep your untimely hunger pangs at bay. You can savour it in the form of salads increase the nutritive profile of your meal. It can also prevent constipation and boost digestion at the same time. The good fats (MUFA) in avocados help absorb the antioxidants from other plant-based foods. It includes nutrients like lutein and zeaxanthin, which are known to be essential for eye health. Experiment with avocado and turn it into a dip to reap its maximum benefits. Due to the presence of vitamin C and E, avocados are considered to be extremely beneficial for the skin. Both these vitamins may help keep the skin soft and supple. So what are you waiting for? Add this wonder fruit to your daily diet and reap its maximum benefits.